Thick and hearty Creamy Potato Bacon Soup is perfect for a cool winter day. Top it with cheddar cheese and green onions for an extra boost of flavor! I LOVE potato soup. I mean, who doesn’t? Creamy Potato Bacon Soup is hard to dislike. I have attempted many potato soup recipes and finally tweaked the recipe enough times to be able to produce an awesome batch of potato soup! 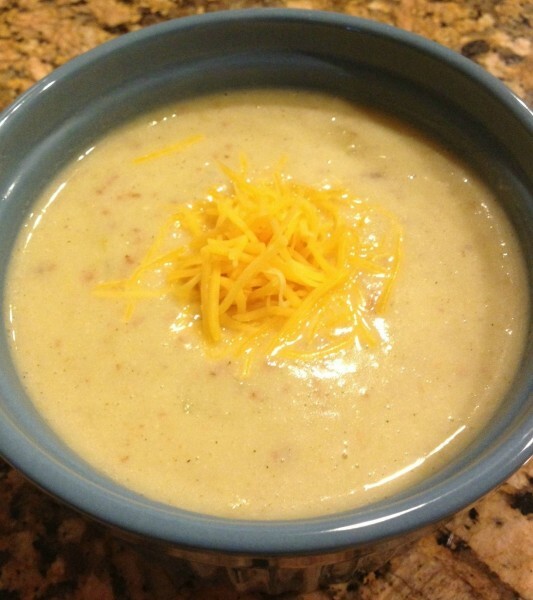 This recipe is inspired by La Madeleine’s Country Potato Soup Recipe. I’ve altered the ingredients to my liking. Peel and dice the potatoes. Meanwhile, bring a large pot of water to a boil. Add the diced potatoes to the water and cook until they are tender. Do not over cook. You do not want to end up with mashed potatoes. While the potatoes are cooking, bring a large pot to medium high heat and add the bacon. Cook 5 minutes. Drain the bacon and reserve some of the bacon grease for use in the soup (about 1tbsp) Return the bacon to the pan. Add the white wine and deglaze the pot. Add the leeks, thyme and garlic powder (add a small amount, you will add more later) to the pot. Add the 1tbsp of reserved bacon grease to the pot. Stir. Once the potatoes are done cooking, add a little more than half of them to a large mixing bowl. Add the butter, half of the broth and the bacon mixture to the bowl. With a hand-held mixer/puree device, puree the mixture. Add the mixture back to the pot and add the remaining potatoes and broth. Mix well. Mix in salt and garlic powder to taste. I suggest adding a little at a time, stirring, tasting and then adding more if needed. « Previous PostIkea Lack Coffee Table Transformed! Next Post » Awesome Giveaway Via Our Homemade Happiness! 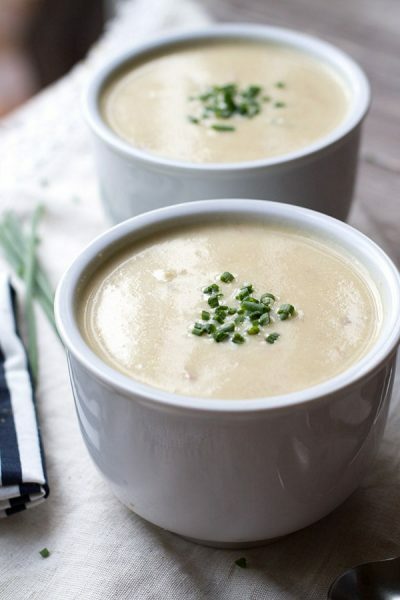 I love a good soup – and this looks and sounds delightful :) Pinned! This soup looks delish! 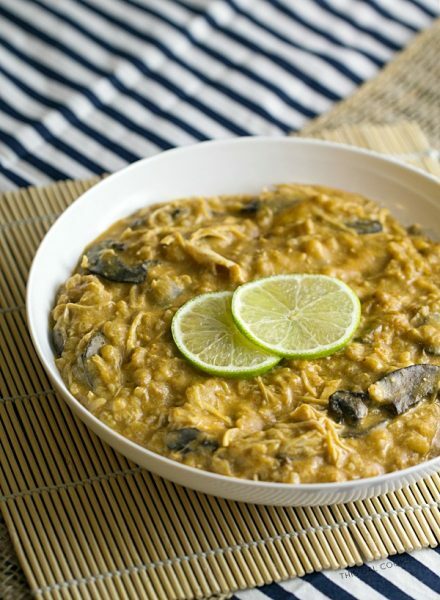 I love a bowl of good soup :) Thanks so much for linking up to Creative Thursday last week. I can't wait to see what you link up this week. Have a wonderful weekend. This soup is awesome! Sometimes I make it with turkey bacon rather than regular bacon and it's still just as good but with less calories! Can't wait to link up to your next party! Oh, I'm visiting from the hop. I'm http://www.DaydreamingRealist.com :) Thanks for the comment & follow on my blog! okay, it's official, this is my lunch today! I'm so excited that I'm going to finally get the chance to try this recipe! The last time I planned on cooking it, we had a minor emergency with my grandfather, so I didn't get the chance. Now, I have all my ingredients ready, AND the weather has cooled down. I love hot soup on cool days and can't wait to try it! Thank you so much for linking up to Sunday's Sweet Confessions over at mommy's sweet confessions! Have a great day! I love what you did to the soup. Very nice changes. I love those gold potatoes. Yeah its amazing! I am goin gto make it as u said! Thanks for sharing! You’re welcome! Hope you enjoy it.